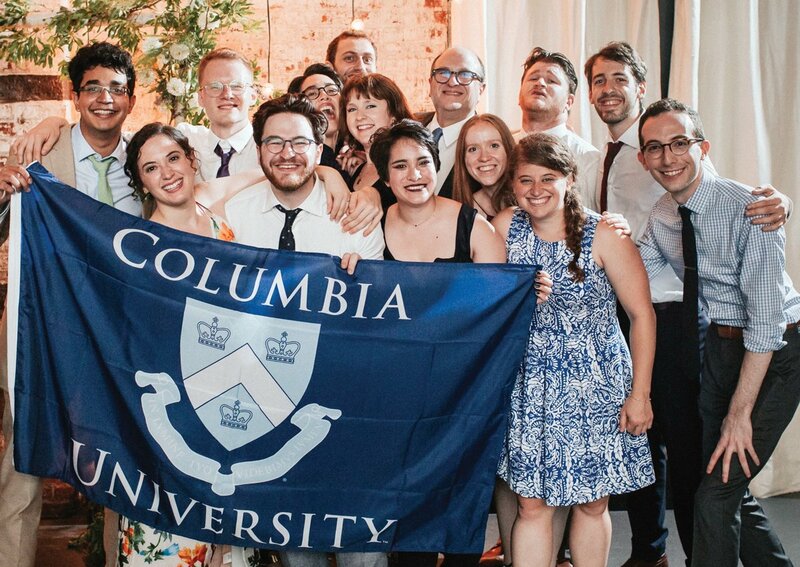 CCT welcomes wedding photos where at least one member of the couple is a College alum. Please submit your high-resolution photo, and caption information, on our photo webform. Congratulations! 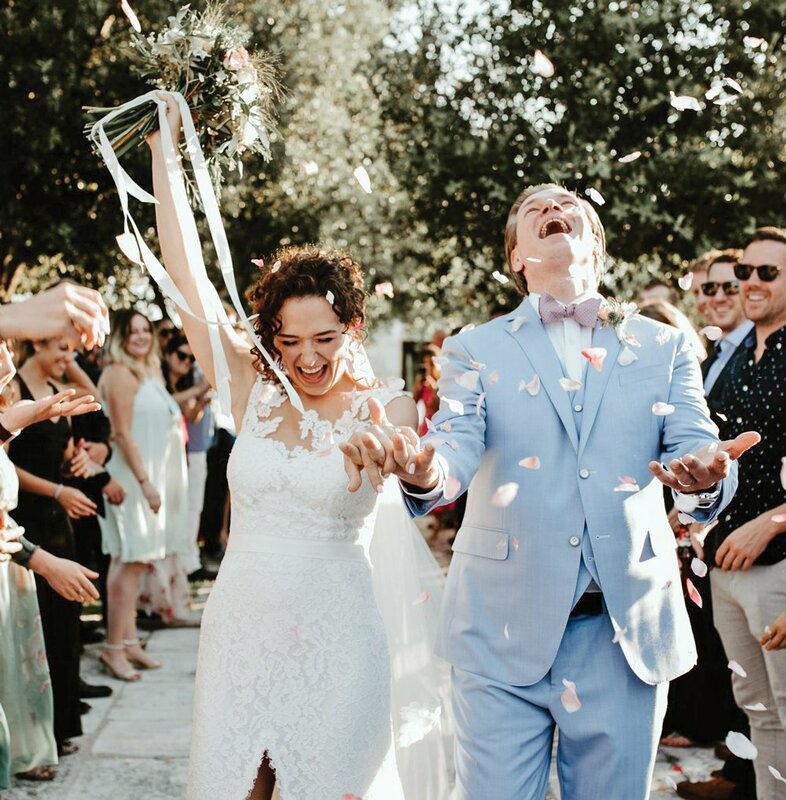 Simone Foxman ’11 and Benjamin Clark ’11 were married in March in New Orleans. 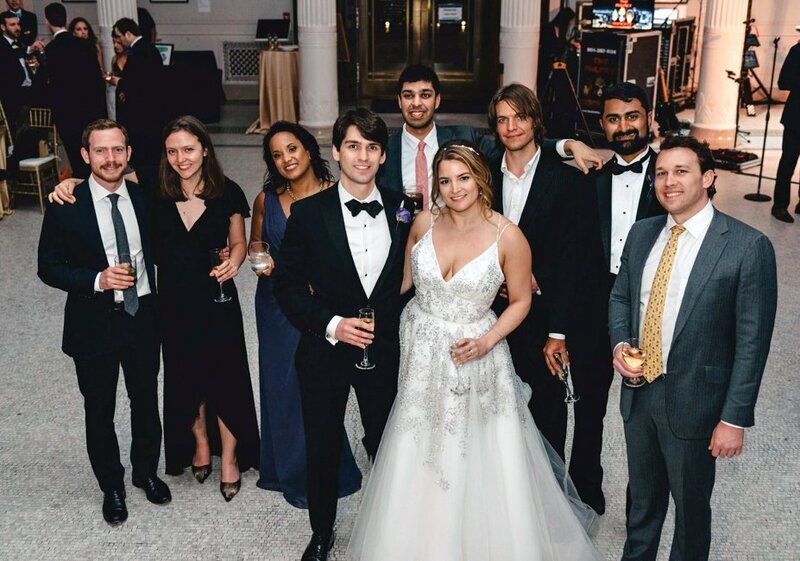 Left to right: Jeremy Sklaroff ’11, Jessica McKenzie BC’11, Linette Lopez ’08, the groom, Rajib Mitra SEAS’11, the bride, Mike Wymbs, Kamal Yechoor SEAS’11 and Mitch Newman ’09. Ari Schuman ’15 and Becca Meyer Schuman ’15 (who met during Days on Campus in 2011 and began dating during NSOP) were married on August 11 at the Green Building in Brooklyn. Back row, left to right: Sireesh Gururaja ’15, Karl Daum ’15, Gabriel Pestre ’15, Joel Schuman ’80, Eric Schuman SOA’17, Alex Mark ’15 and Michael Gildin ’15. Middle row, left to right: Sylvia Korman BC’18, Madeline Pages BC’17 and Audrey Crabtree-Hannigan ’15. Front row, left to right: the bride, the groom; Rachel Chung SEAS’15 and Jess Kleinbart SEAS’14. 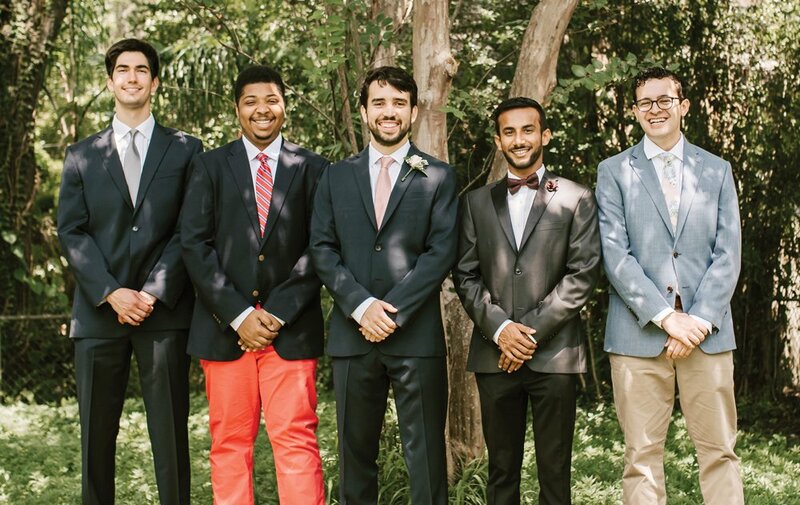 On September 8, Fabio De Sousa ’16 married Alison De Sousa (née Overton) at the Rialto Theatre in Tampa Bay, Fla. Left to right: Sean Ballinger SEAS’16, Niger Little-Poole SEAS’16, the groom, Idris Sardharwala SEAS’16 and Alexander Roth ’16. Schuyler Brown ’06, BUS’12 married Lucia Villar BUS’11 and celebrated in Mexico City. 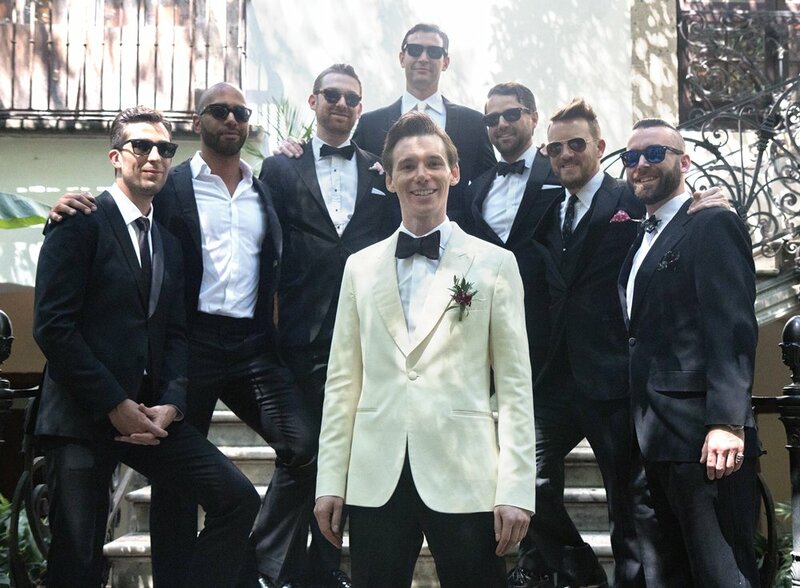 Left to right: David Kampfe BUS’12; Abbas Fawaz BUS’11; Nathaniel Greenberg ’06, BUS’12; the groom (in white), Aaron Schiller ’06; Craig Battin ’06; Yago Amerlinck-Huerta ’06; and Brandon Green ’06. Shira Burton ’09 married Jonas Specktor on August 11 at Macalester College in St. Paul, Minn. Front row, left to right: Sasha de Vogel ’09, Nathalie Aferiat (née Celcis) BC’09, Alison Powell BC’09, Priya Murthy ’09, the bride, the groom, Brendan Ballou-Kelley ’09, Henry Klementowicz SEAS’09, Claire Shanley ’92, Ashraya Gupta ’09, Robyn Gordon BC’11 and Adrianne Ho BC’09. Back row, left to right: Eric Rosenblum ’09, Shakeer Rahman ’09, Benny Shaffer ’09, Katie Reedy ’09, Jolene Richardson SOA’15, Stephen Christensen SOA’15, Max Friedman ’09, Nick Kelly ’09, Glover Wright ’09, Andrew Lyubarsky ’09, Ben Heller ’09, Morgan Whitcomb SEAS’09 and Colin Kinniburgh ’12.